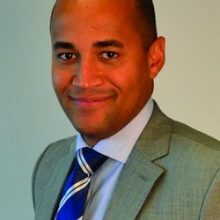 Dante Disparte is an entrepreneur, business leader and global risk expert. He is the founder and CEO of Risk Cooperative, a strategic risk advisory and insurance brokerage firm based in Washington, D.C. Dante serves on the board of the American Security Project, where he founded and chairs the Business Council. He is also a member of the Bretton Woods II Council and a fellow at New America and a strategic advisor to Power Ledger, the world’s leading blockchain-based renewable energy marketplace. He is a frequent speaker and commentator on business and political issues shaping the world. From entrepreneurship, where he was invited by the White House to speak at the Global Entrepreneurship Summit in Kenya, to risk, economic competitiveness and security issues, Dante’s wide-ranging views are regularly featured in leading media and publications, such as Harvard Business Review, Huffington Post, Forbes and International Policy Digest, among others. A graduate of Harvard Business School, where he chaired the D.C. alumni association and is a former member of the global alumni board. Dante holds an MSc. in Risk Management from the NYU Stern School of Business and a B.A. in International and Intercultural Studies from Goucher College. He is fluent in 6 languages and has conducted business all over the world. He is the co-author “Global Risk Agility and Decision Making” (Macmillan, 2016) and was recognized as one of the 40 leaders under 40 by the Washington Business Journal and in the inaugural Powermeter 100 list.